Minimum of 5 people. Parties over 10 (11+ people), the host crafts for FREE! 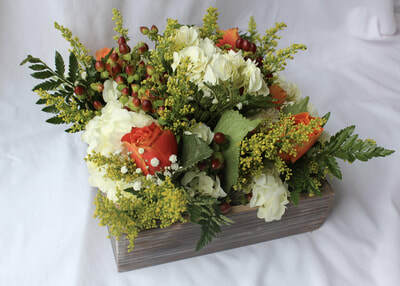 Each arrangement will include 6 roses, and your choice of filler and one alternate flower to make your own unique arrangement! 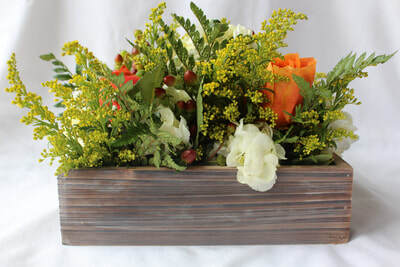 $50 per person includes box, flowers, wet foam, supplies and instruction. Each wreath will include on large letter (which you can chalk paint in the class), a spray of seasonally appropriate flowers, one large flower and a bow. $40 per person includes above, all supplies and instruction. 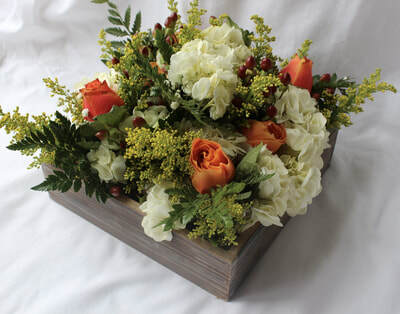 Each arrangement will include 3 roses, one additional type of flower and filler of your choice. 3x3 glass monogrammed vase also included. $30 per person​ includes all pictured, supplies and instruction. in comments section, please provide town, party size and date of party.